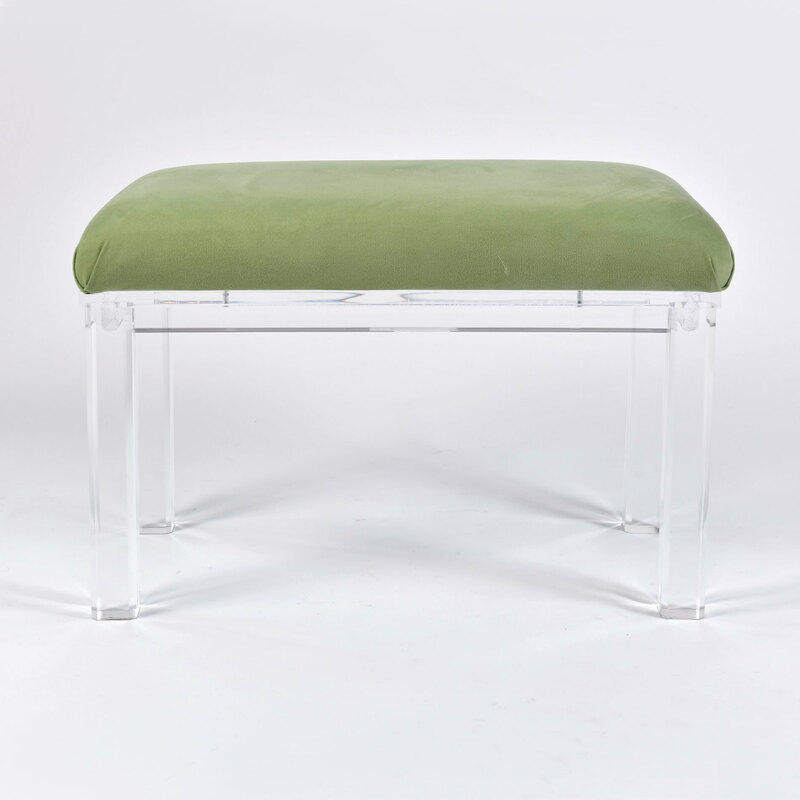 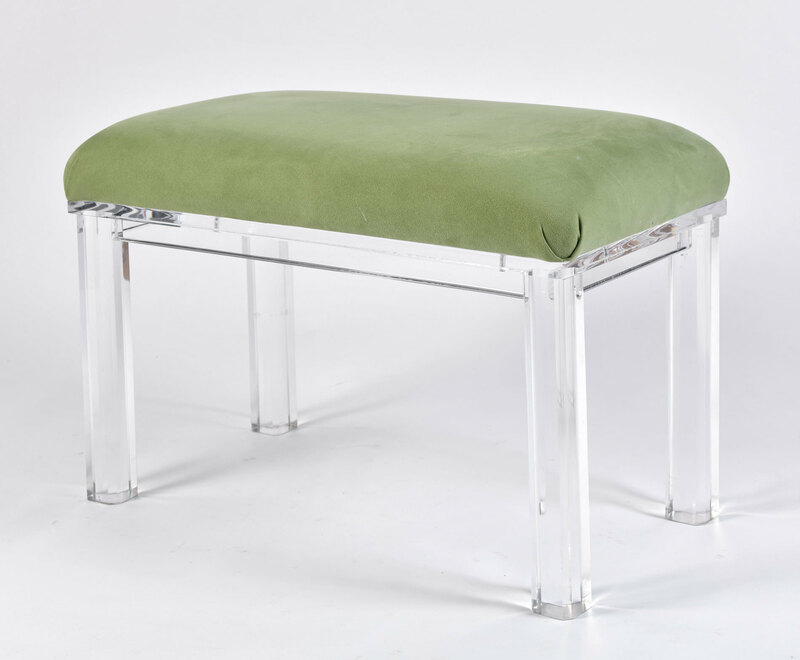 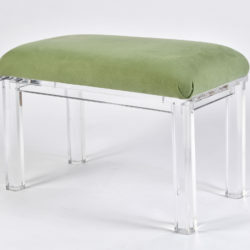 Custom made Lucite bench by Carmichael. 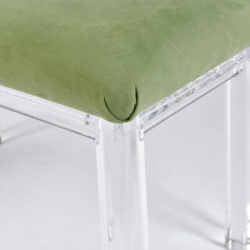 The Lucite is extra thick adding weight and sturdiness to the piece. 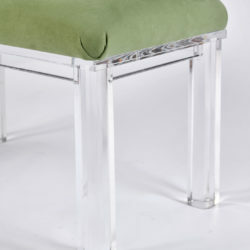 Bevelled legs add an interesting feature. 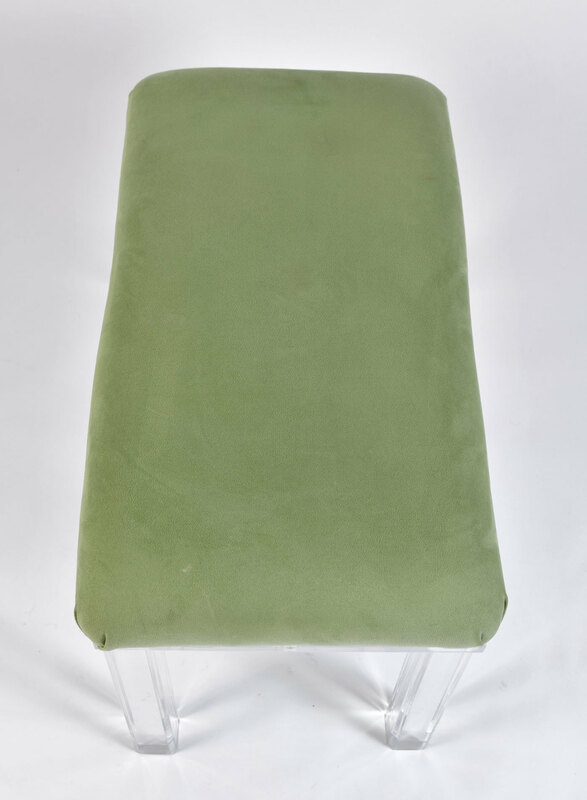 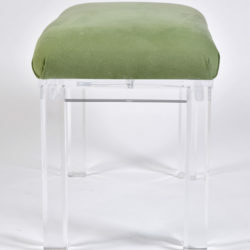 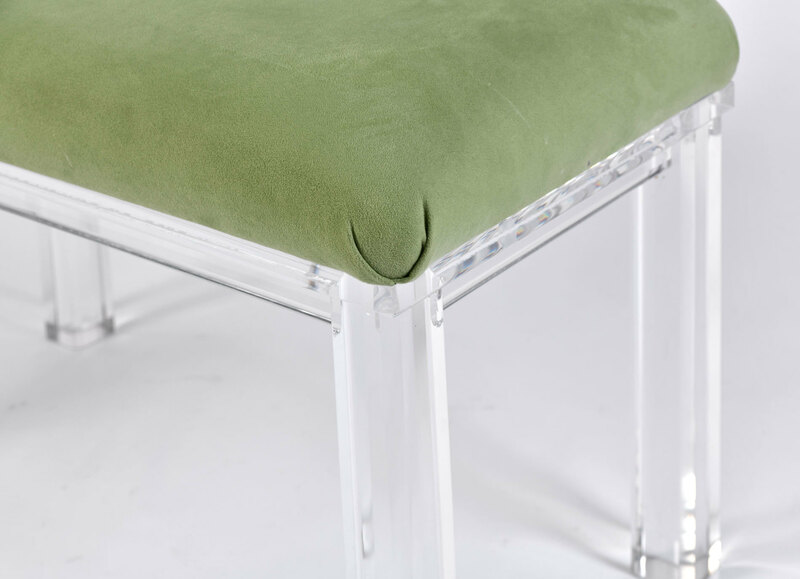 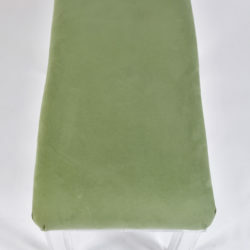 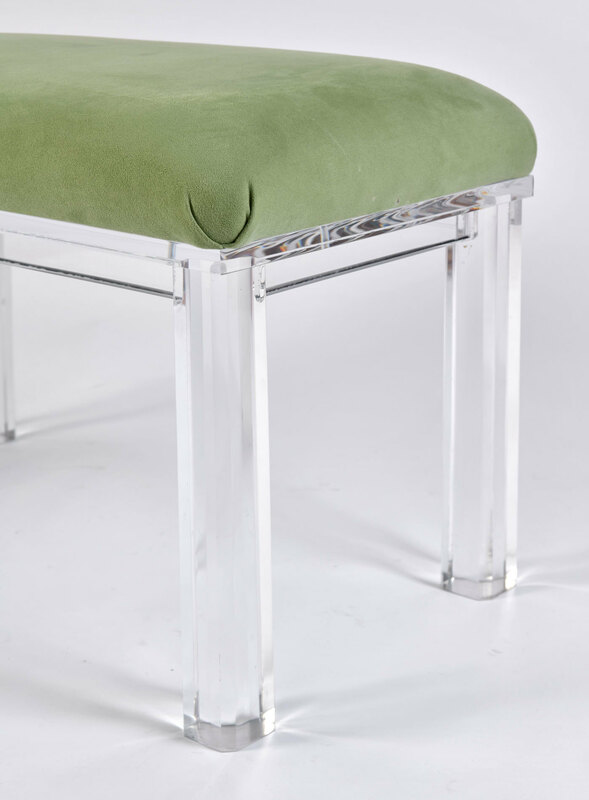 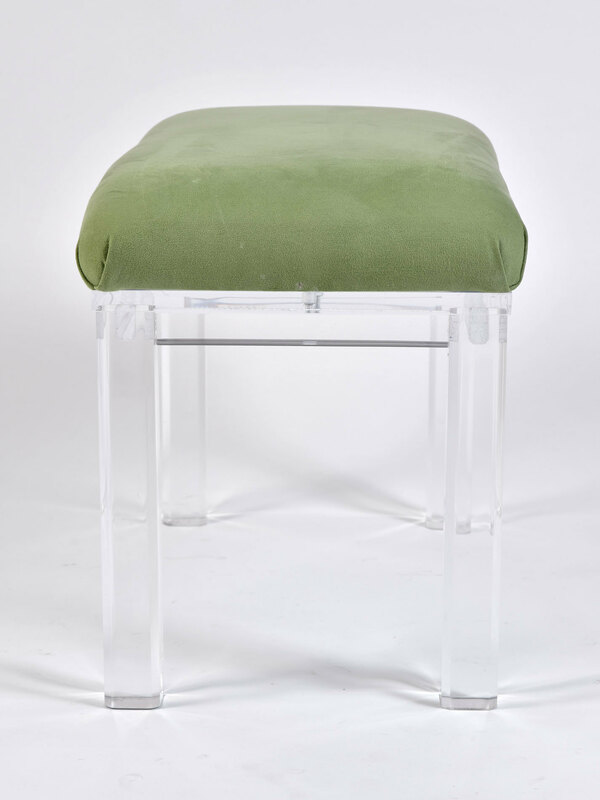 Seat is upholstered in a velvety soft green material. Two benches available; see also FS983 for a matching stool.